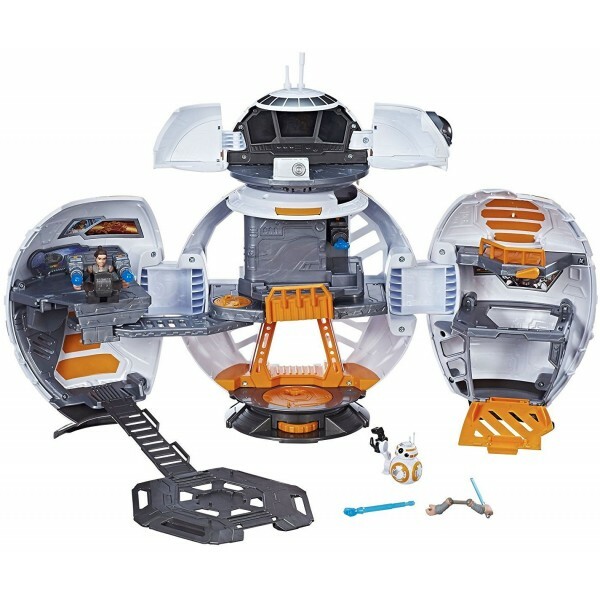 Join BB-8 and Rey to overcome interstellar enemies with the Playskool Heroes Star Wars Galactic Heroes BB-8 Adventure Base playset! 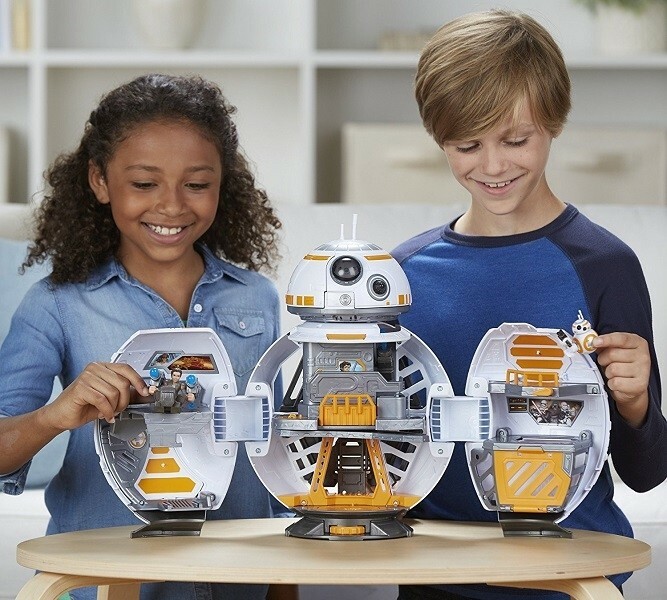 Open the BB-8 droid playset to reveal an adventure base, and extend the telescoping head with the press of a button, exposing a secret command center with sound effects, light up screens, and projectile launching cannons. 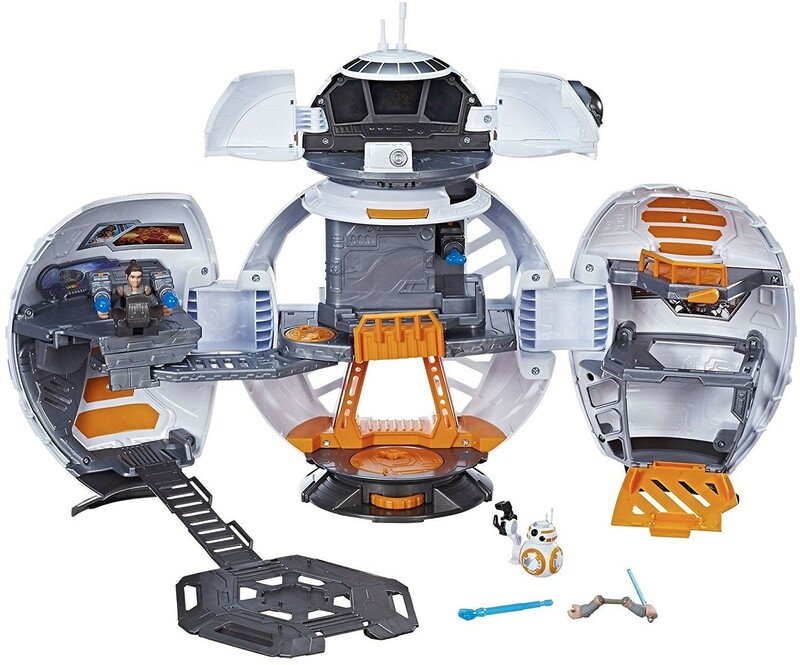 Fun accessories like the swiveling turret, and extendable catwalk, and a trap door provide lots of play possibility. 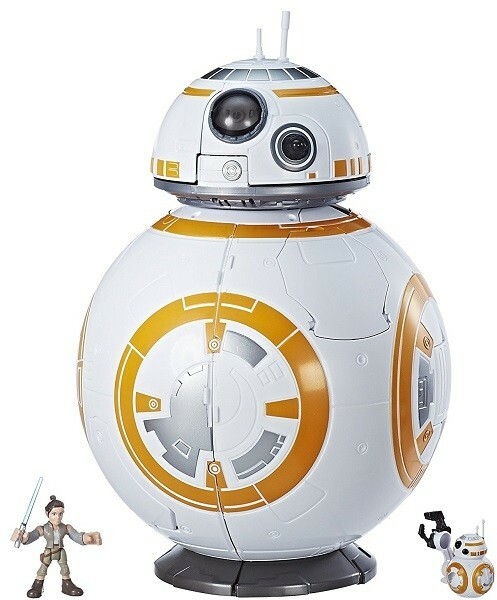 The set comes with Rey and BB-8 figures; other figures sold separately. 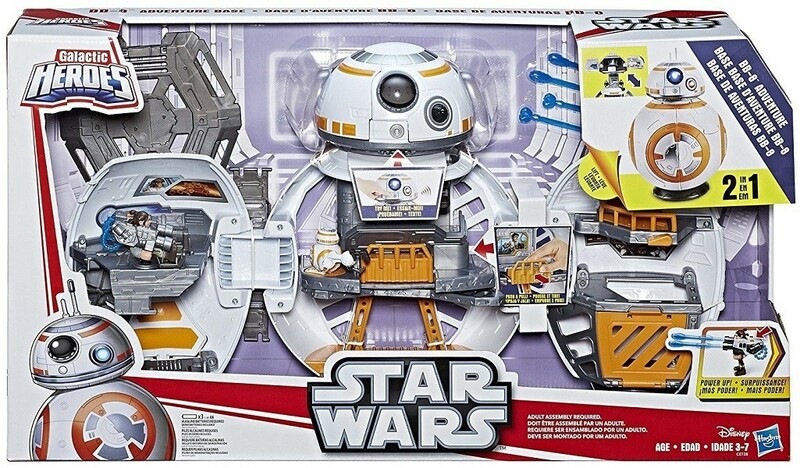 For more products featuring characters from the new Star Wars trilogy, visit our Rey Collection.